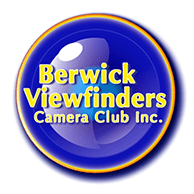 Berwick Viewfinders Camera Club Inc. Calendar 2019 - Berwick Viewfinders Camera Club Inc.
Monday 22 No club – Easter Monday! Monday 21 Welcome dinner – The Main Cafe Bar Restaurant – Berwick – 6.30 pm. Sunday 3 On location – Midsumma Pride March, St Kilda. 10.00 am . Fitzroy Street St Kilda. Go to person Barry Povey. Sunday 3 Alison Pouliot Tree workshop – fees apply. All day workshop starting in club rooms, then transferring to field site. Workshop is fully booked. Sunday 10 On location – “Lost Trades Fair” – Kyneton. Go to person Steve Ferran. Monday 18 Bring your camera. See note above. We will be conducting an internal judging to find the image that will be used by Framing to A T to demonstrate matting and framing of the image. Your image can be uploaded to the competition section in the website. It’s the ’Special’ comp with a theme of ‘Framing to a T’ prize (3rd from the bottom). Monday 25 Visit to Framing to a T. Address Fact 19/2-10 Hallam S Rd, Hallam VIC 3803. Time 7.30. Monday 6 Mark Rayner will do a Bird and Wildlife Presentation for us on the night of the 6th. He’ll talk about the techniques that he used to capture certain images as well as settings, aperture, focus methods etc. He will also do a hands on ‘Back Button Focus” setup session. He usually do this after everything else including all normal club business as it is time consuming and can go on for quite a while depending on how many people want to set up their cameras. Those that are keen will hang around. He’ll also squeeze in a couple of slide shows on the Kimberly Photo Tour 2020. Mark will also be running a two day workshop in Cranbourne on the 5th and 6th May . Link is here. Sunday 28 Puffing Billy trip from Emerald Lake Park to Gembrook. Fees apply. Full information at a later date. Sunday 13 On location – Rhododendron Gardens – go to Gail McTaggart ? ?